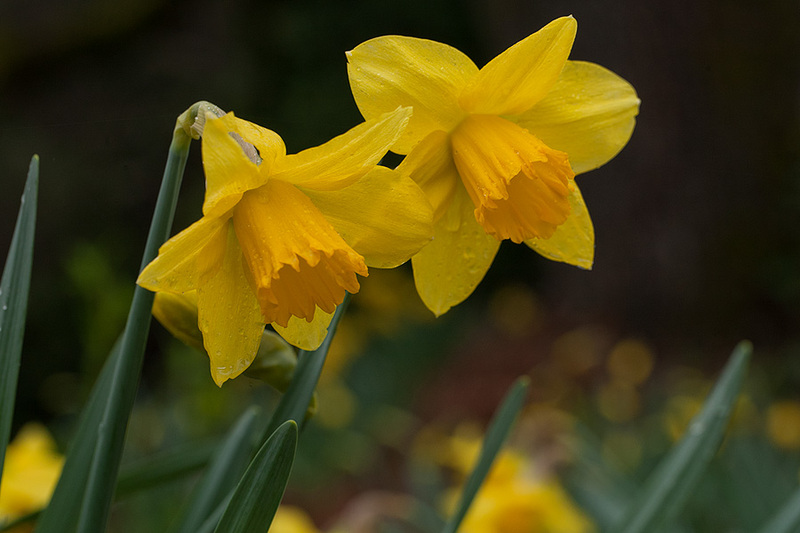 We never tire of the daffodils and are especially fond of them after a rain when they are pushing up to regain their pre-rain stature. Nice capture with lovely spring colors and great details. The POV is really well chosen here.